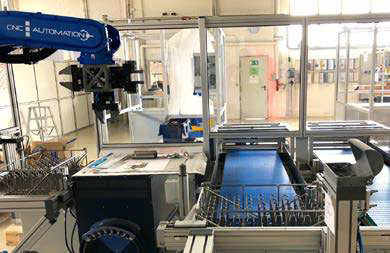 CNC-Automation Würfel is a medium-sized company located in Singen, Germany, that specializes in robot automation and offers personalized service in manufacturing, process automation, and optimization. If a customer has a part that they would like picked, cleaned, or polished, CNCAutomation Würfel would immediately create a system layout and then build it, put it into operation, and carry out final inspections in house. Services also include putting it into operation at the customer's site and potentially carrying out continued maintenance on the robots. The company started using 3D printing technology in 2017 to see how it could be implemented in their own systems. They printed components that were previously made using a milling cutter or lathe, which meant high costs and long lead times. 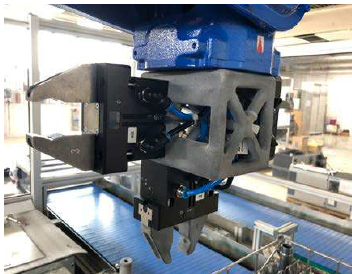 The new 3D printing technology allowed for faster and more agile production. They also printed prototypes to test systems operations. CNC-Automation Würfel’s printing business has grown steadily since the implementation of 3D printing. From originally receiving one to two orders a month, they now receive between 10 and 20. How can I design this component so that it can also be milled? What does the component need to tolerate? How does the tubing need to be positioned, and what are the pneumatics like? 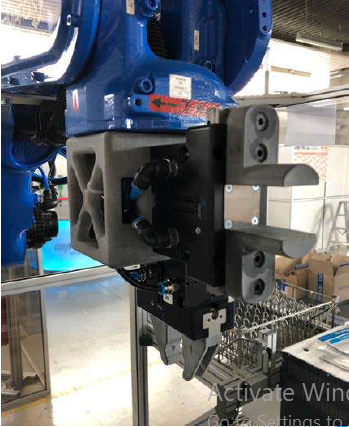 Because CNC-Automation was only able to position these on the outside of the component or on this gripper adapter, the process required tubing add-ons so that it didn't snap or tear. To make the entire process shorter and more straightforward, and maybe even less complex from a design perspective, they said, "Let's make this gripper adapter using a 3D printer." Ultimately it came down to three models, ranging from round to angled. They were then strutted to the final product, which is now used on three of the company’s automation systems. This gripper adapter looks like a strutted box section that has the screw connections, bores for pneumatic connections, and blow-off valves in it, and with a flexibility that would not have been possible with milling. In fewer than two days, they designed a simple component in line with their needs. The original process from design to the finished component used to take eight to 10 weeks. Using HP Multi Jet Fusion technology, that process has been reduced to only two days, a time reduction of approximately two months.. The 3D printed part costs approximately 200€, and the design process costs totaled between 1.500€ and 2.000€. The original part made with traditional processes used to cost three times more. In the end, there is a 66% cost reduction using HP MJF technology and the other design processes needed to 3D print the final part.